Alabama, 1818, father and mother die of yellow fever, leaving their baby girl alone. 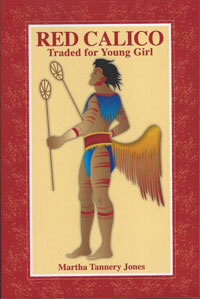 Choctaw Indians find her and name her Tishepa and raise her as their own. In 1831 the government orders the Choctaws to move to Indian Territory(Oklahoma). Before the tribe moves, Tishepa is discovered by a white doctor and her life is changed. Her uncle has taught her to always look for the good and she struggles to do so. When she realizes the good she decides she belongs to two races and has two families who love her.